Whether you’re a Hamilton buff, a history lover, or simply a fan of the finer things in life, there’s an elegant experience waiting for you in Newport: The Williamsburg Room at The Chanler. One of 20 unique themed rooms, the Williamsburg Room transports guests back to America’s post-Revolutionary days. Here’s a closer look this opulent offering. The days surrounding the American Revolution were heady ones. Now, visitors to Newport have the opportunity to experience the phenomenal feels of living in this time by booking the Williamsburg Room at The Chanler. Appointed with stately furniture, including a Chinese Chippendale queen four-poster bed; floral prints of red, white and blue; and an alcove complete with a Jacuzzi tub, the authentic decor of the Williamsburg Room reflects the ethos of the time. Factor in all of the accoutrements of the most luxurious and modern accommodations, such as an elegantly appointed marble bathroom with heated floors featuring a Queen Anne vanity, flat-screen TV, and seven foot shower with multiple shower heads and body sprays, and the Williamsburg Room becomes the perfect escape for guests looking for more than a place to merely lay their heads. For those looking to double the fun, meanwhile, the Williamsburg Room can also be utilized as a two-bedroom suite when reserved with the Federal Room. So that you may further steep yourself in any of the unique themes of our guest rooms, we also offer themed itineraries to augment your adventure. 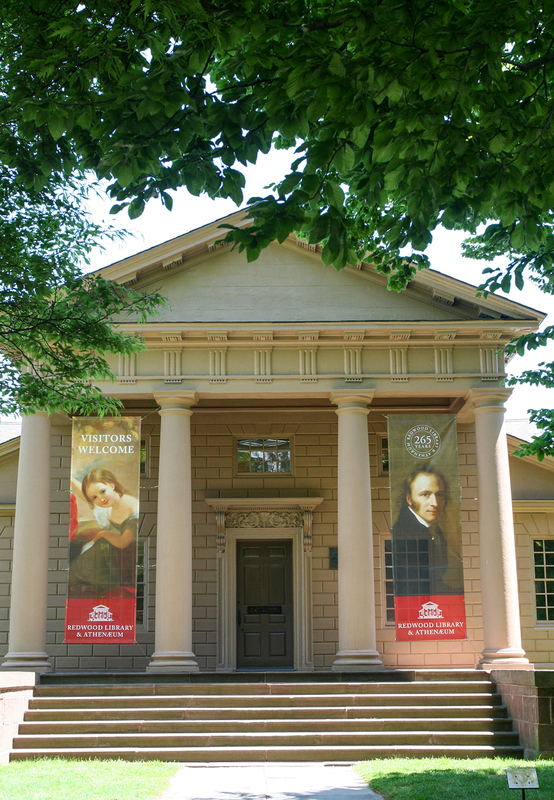 To experience important 18th, 19th, and early 20th century American paintings, watercolors, drawings and prints, we recommend a visit to the William Vareika Art Gallery. One of the largest art galleries in New England, the Vareika Gallery has been recognized as "Best of RI" by Rhode Island Monthly Magazine and as "one of the outstanding reasons to visit New England" by Yankee Magazine. But gallery owner William Vareika isn’t content by enriching the world merely by raising public awareness about art; he’s also a community activist, preservationist and philanthropist who has raised millions of dollars for charitable causes including everything from the arts and education to animal welfare and the environment. Alexander Hamilton had some of his most history-making moments in Williamsburg. Now, you can have some of your own -- while simultaneously enjoying all of Newport's extraordinary attractions -- courtesy of The Chanler’s bold Williamsburg Room. Visit our website to book the Williamsburg guest room now.